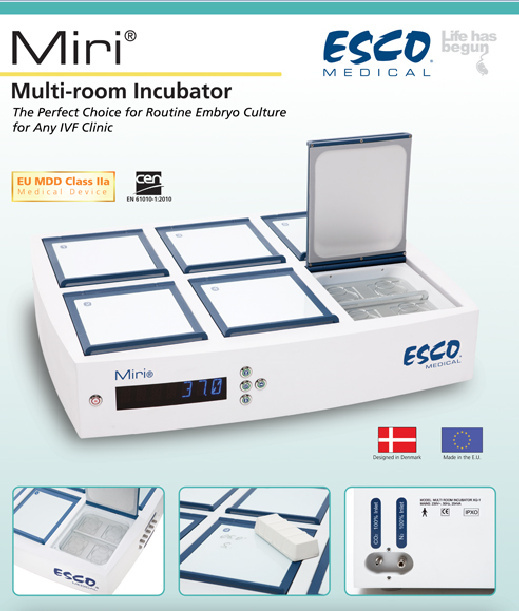 The new Esco Miri® is a revolution in form and functionality for CO2 incubators for in vitro fertilization (IVF). With 6 chambers, the Miri is a multi-room incubator that allows users to access their cultures in one chamber without affecting the neighboring chambers. Thus, the harmful effects of fluctuations in temperature and gas caused by frequent incubator access are avoided.